Want to increase your ranking in search results? 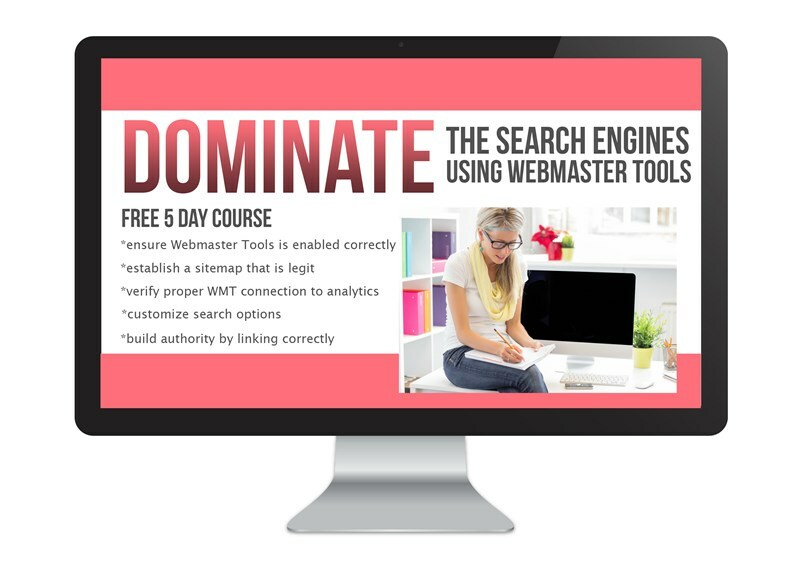 This FREE 5-Day e-course called Dominate the Search Engines will help you do just that. You’ll get step-by-step video instructions for how to ensure your webmaster tools is set up correctly. Crystal and Kelli from Learn to Blog Hangouts share their expertise on utilizing the best tools on the web. They share simple, actionable tasks and through their Learn to Blog Facebook group you can continue to learn by asking questions. Ensure Webmaster Tools is enabled and working correctly. Make sure your sitemap is installed and verified. So I’ve been blogging for 5 years and I’ve taken several online e-courses to learn how to grow as a blogger. Over the years I’ve used Webmaster Tools and Google Analytics and thought I had a decent understanding of how to utilize their various tools. But, there is always more to learn. In this course, I discovered that I did not fully have Webmaster Tools installed on my main blogging site. I discovered that I had failed to fully install my sitemap, and I learned how to build a custom search engine using keywords that already exist on my blog. I’m thrilled to be able to share this valuable resource with you. It’s going to help you take your blog to the next level. You don’t want to miss out on the FREE 5-Day e-course.